I've been waiting to upgrade to 18.1 because i suffered many issues in the past with "early updates". Then after the upgrade... baboom.. everything seems to be working BUT no NAT 1:1.
and in virtualip the ip x.x.x.150 is added (proxyarp). In 17.7 is working perfectly, but in 18.1.11 (in theory is the same config!, i've already restored the config dump many times...) is not. Any advices that what could be happening? I use 1:1 NAT for two servers, it works fine, so may be just a little change is required to your system. 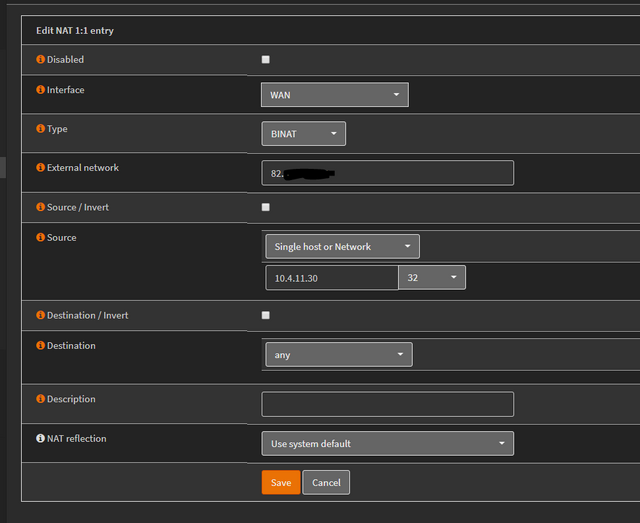 I then have the corresponding firewall rules set on the WAN. 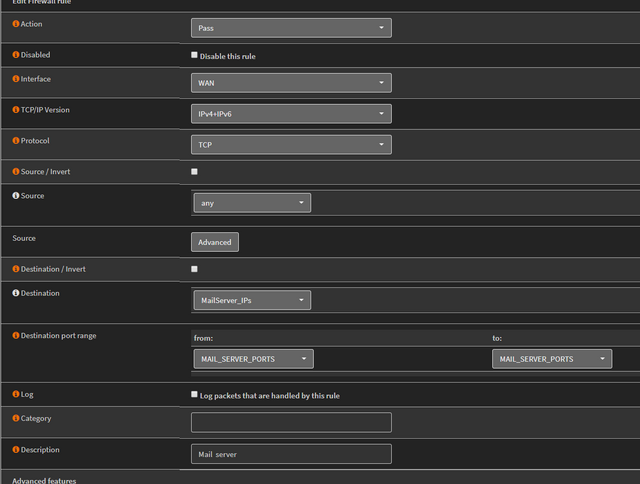 Here's my WAN firewall rules just for comparison, this is for my mail server, I use Aliases as you can see. If that's all correct too, then I suggest you delete the rules and 1:1 NAT and re-enter them from scratch. Seem to recall a few people had issues when they changed to 18.1 but I thought that had been resolved long ago. I'm sure I'd deleted nat 1:1 and recreated from scratch in one of my many tries to get it working, but not the rules. Will try. Thanks for your support marjohn!